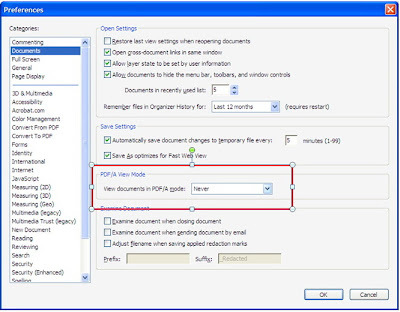 PDF/A is an ISO standard for PDFs. 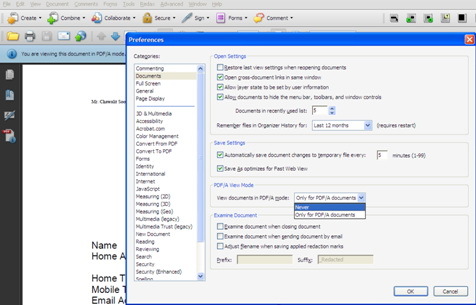 Documents you scan to PDF are PDF/A-compliant. You can specify whether you want to view documents in this viewing mode. 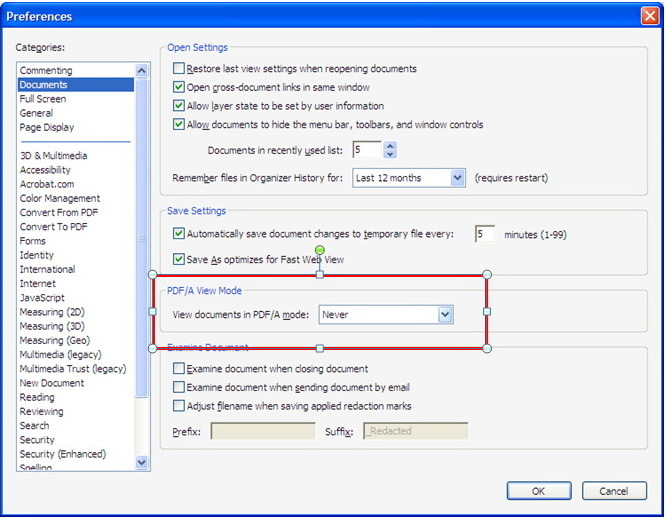 You can switch in or out of PDF/A viewing mode by changing this preference setting again.